All good things must come to an end, or in this case, must come to an endd. 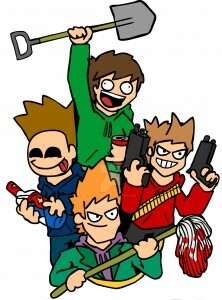 On March 9, part one of the series finale for the comedy sketch YouTube program “Eddsworld” was uploaded. With part two set to release on March 16, the 10 year anniversary since the channel began, fans won’t have much longer to enjoy things while they last. While it is admirable to see that the channel survived four years after its original creator’s death, it doesn’t dampen the blow in having to see this hilarious video series go. However, behind all the comedy Edd, Matt and Tom continued to pour out for fans laid a dark and destructive secret. On April 16, 2011, Edd Gould revealed he had been diagnosed with acute lymphoblastic leukemia, a cancer that attacks white blood cells. This was the second time Edd Gould had to battle cancer, as he had been diagnosed with the same disease back in 2006. Despite the grim nature of his diagnosis, this never truly stopped Edd from continuing his animation streak with the Eddsworld show. He was able to release a few shorts onto the channel, “Fan Service” and “JukinoMoe” (a parody of fellow YouTube creator Joe Gran,) while also releasing part two of the “Hammer and Nail” sketches. Many fellow animators, including Joe Gran and Zach Hadel, created videos wishing Edd luck in his battle. Eddsworld was one of the very first YouTube comedy channels I stumbled upon in my teenage years, and from my first viewings of “Moving Targets” and “WTFuture,” I knew this was going to a channel I loved. I was there when Edd Gould’s death had been announced, and I feel safe in saying I wasn’t the only fan who cried that night. Thomas and Matt did an excellent job keeping the series going past Gould’s demise, with Thomas writing most of the new sketches and guest animators providing their talents for the sake of Gould’s legacy. However, “The End” appropriately marks the final official videos of the Eddsworld empire, with animator Paul ter Voorde now listing himself as “past animator of Eddsworld” and Thomas Ridgewell stepping down as show-runner. An unofficial fan film, “Eddsworld: The Movie” is in the works and set to be released sometime in 2016, but none of the original voice actors or animators are slated to return for it. From the bottom of my heart, I thank everyone involved for keeping this series running as long as it did, and I pray the memory of Edd Gould will thrive long past his series has concluded in the hearts of his family, friends and all those who were touched by Edd’s comedic wit and talent. 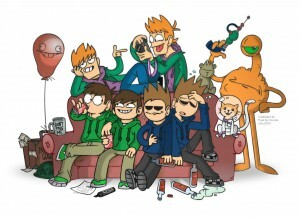 With plenty of laughs shared around the world thanks to so many gifted creators, we say goodbye to you, Eddsworld.